This sweater is hand-crocheted of alpaca yarn that was dyed using natural plant-based dyes. 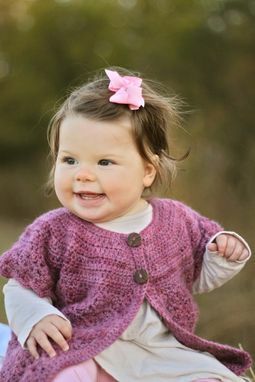 The hand-dying gives the yarn a beautiful variegated textural look. 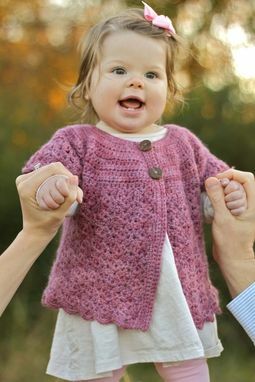 The sweater is finished with handmade wooden buttons. 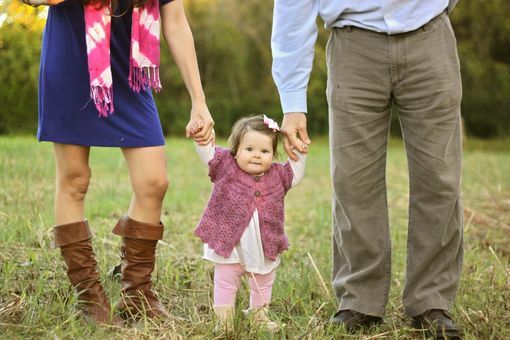 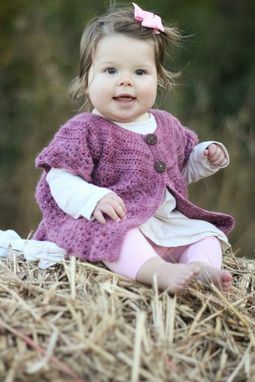 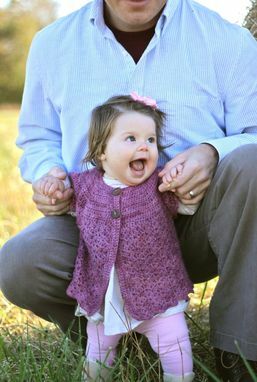 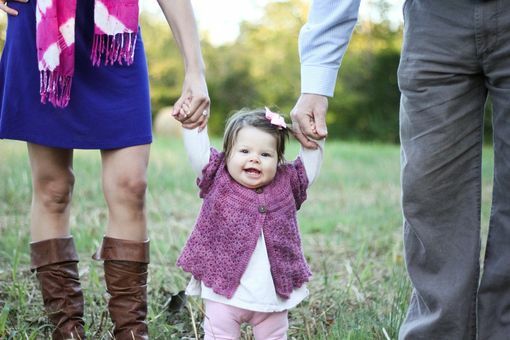 The pictured sweater is a size 6-9 months, but it can be made in sizes up to 4T and in other colors as well.